The Parallel Roads of Scotland’s Glen Roy were not built by the Picts, Romans, fairies or even space aliens. As a matter of fact, they weren’t built by anyone at all. It took quite some time, and many wrong explanations to arrive at the reality of their creation. Back in the 18th century, as the science of geology began to emerge from the mists of myths, such luminaries as Thomas Pennant, James Hutton, Charles Lyell and Charles Darwin all offered opinions about the origin of the Parallel Roads. Most of these centered on the idea that they were ancient seashores perhaps related to Noah’s flood. Louis Agassiz, however, had a different theory: that the earth had historically been shrouded in huge ice sheets. This clearly applied to Switzerland where plenty of glaciers remained but no glaciers currently existed in Scotland. 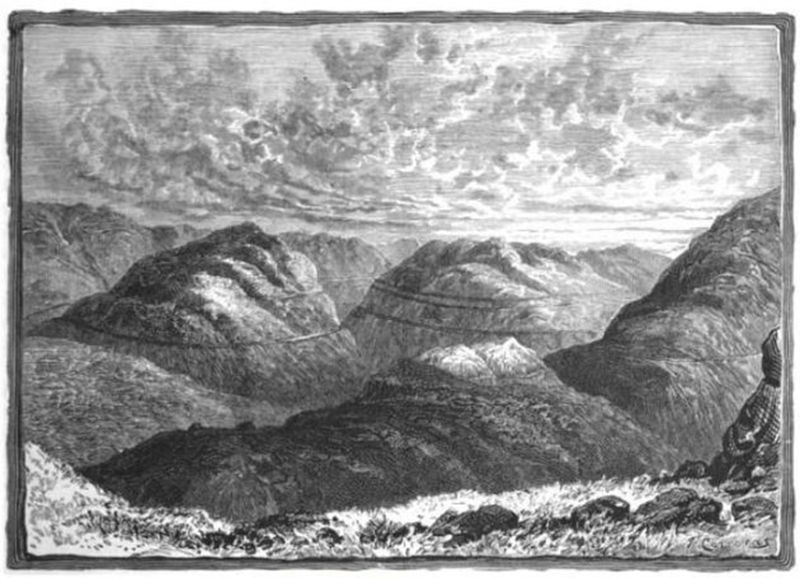 With the assistance of William Buckland, Agassiz analyzed the similarities in the Scottish landscape, and specifically the Parallel Roads, with that of Switzerland and uncovered significant proof of glaciations in Glen Roy. He concluded that the Parallel Roads were once shorelines of an ice-dammed glacial lake. This proved to be true and his theory became firmly established in the science of geology. The last Ice Age in Scotland ended more than 14,000 years ago but around 12,000 years ago a shorter period of cold temperatures, now called the Loch Lomond Stadial (also known as the Younger Dryas), brought some glaciers back to the Highlands. Glen Roy was blocked by the ice of the Lochaber Ice Lobe. The water behind the ice backed up to three major levels at about 850 ft (260 m), 1,060 ft (325 m) and 1,150 ft (350 m) above sea level, that can still be seen on the hillsides as the Parallel Roads. According to a recent study the ages of the individual Roads range from about 11,900 years ago for the highest to 10,700 years ago for the lowest. Photo Details: Camera Maker: Canon; Camera Model: Canon PowerShot SD1300 IS; Focal Length: 20mm; Aperture: f/5.9; Exposure Time: 0.0063 s (1/160); ISO equiv: 80; Exposure Bias: none; Metering Mode: Matrix; White Balance: Auto; Flash Fired: No (enforced); Orientation: Normal; Color Space: sRGB; Software: Adobe Photoshop 7.0.